E-Landscape Specialty Solutions, LLC.The View At Mill Run Apartments - E-Landscape Specialty Solutions, LLC. 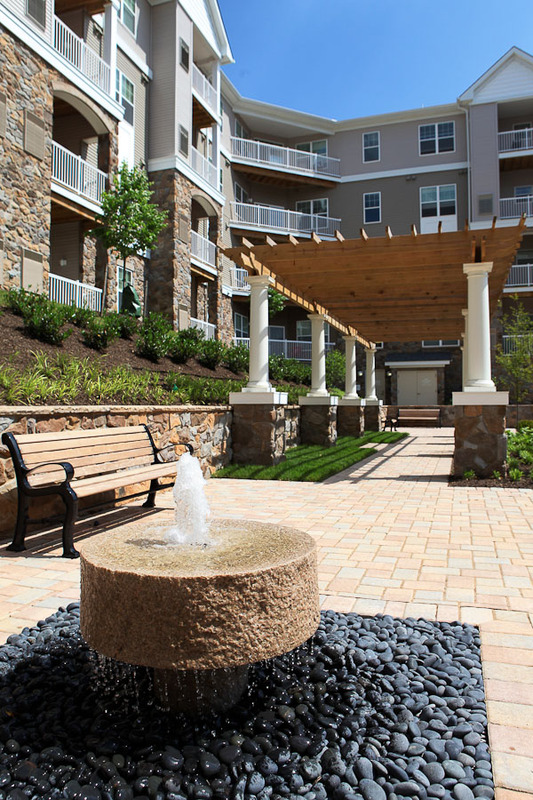 Overlooking the Soldiers Delight Natural Environmental Area, The View at Mill Run is a luxury apartment community in Owings Mills, Maryland managed by The Dolben Company. E-Landscape provided landscape installation services for the property. Our work included landscape planting, sod installation, an irrigation system, hardscaping, pavers, site furnishings, and fountains.